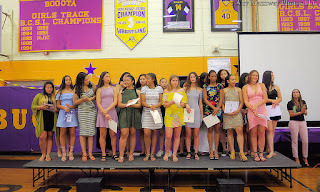 On Monday 12-June the Bogota Athletic Dept. 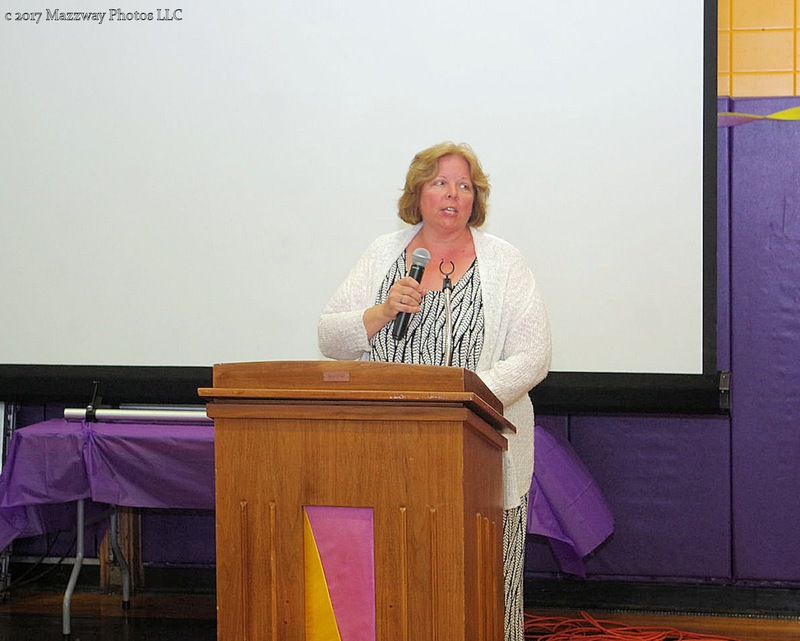 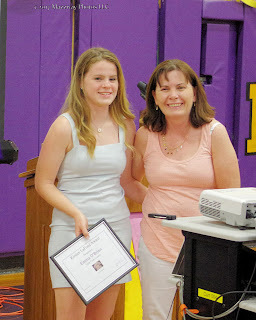 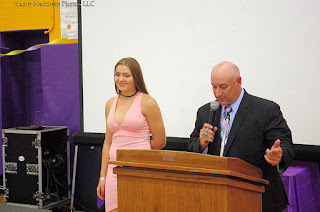 hosted the Michael Granquist Memorial Sports Award Dinner. 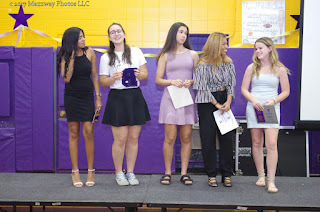 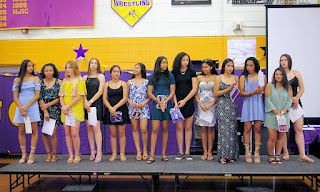 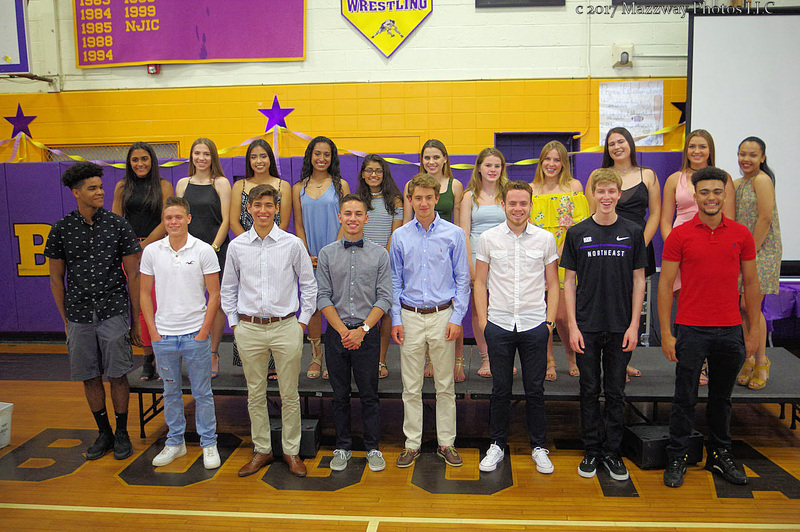 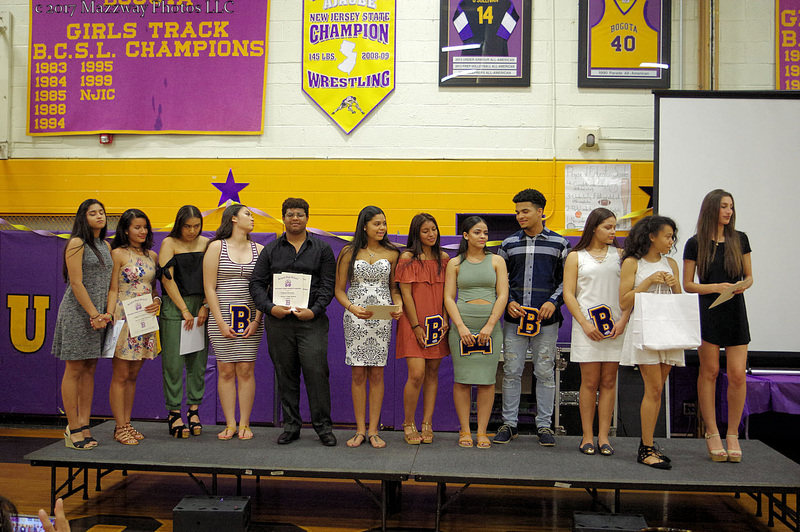 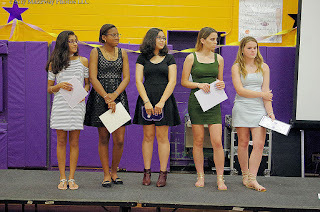 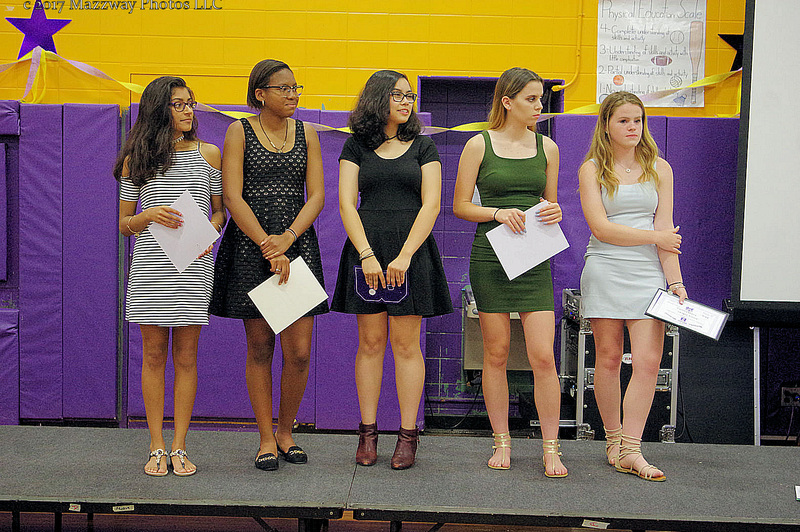 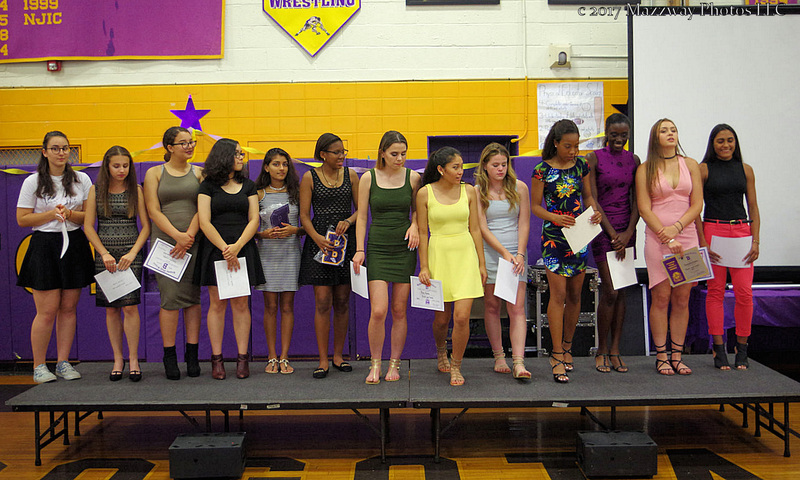 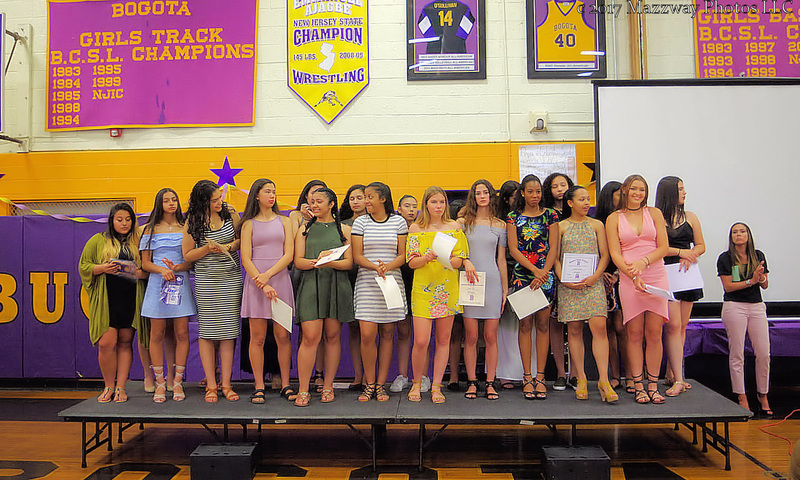 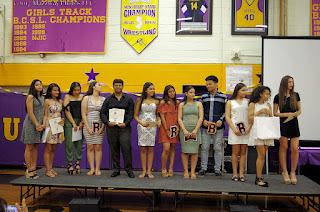 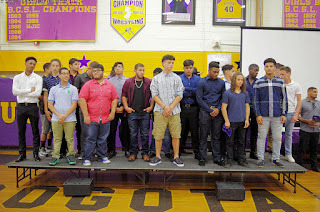 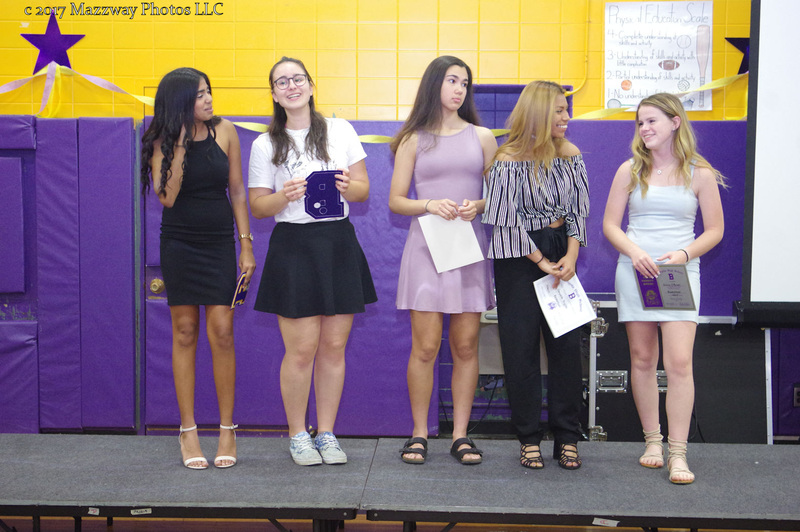 This was held in Speary Gym to honour the Student Athletes from Bogota High School for the year 2016-17. 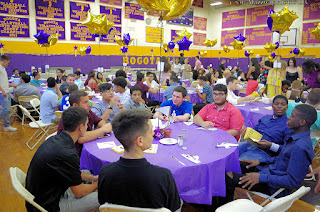 To start the evening Karen Rodgers spoke of the work and dedication to Bogota Sports that Alumni Mr Granquist gave to his former school. He was one of the individuals whose effort was instrumental in the relaunching of the annual awards dinner. Before the ceremony fully started Athletic Director Brad DiRupo also asked for a quiet moment of remembrance for Patty Brickley who past away the week before. 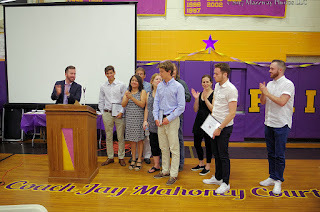 Ms Brickley also gave her time to assist Bogota Sports. 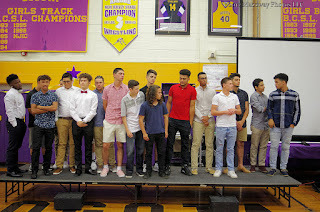 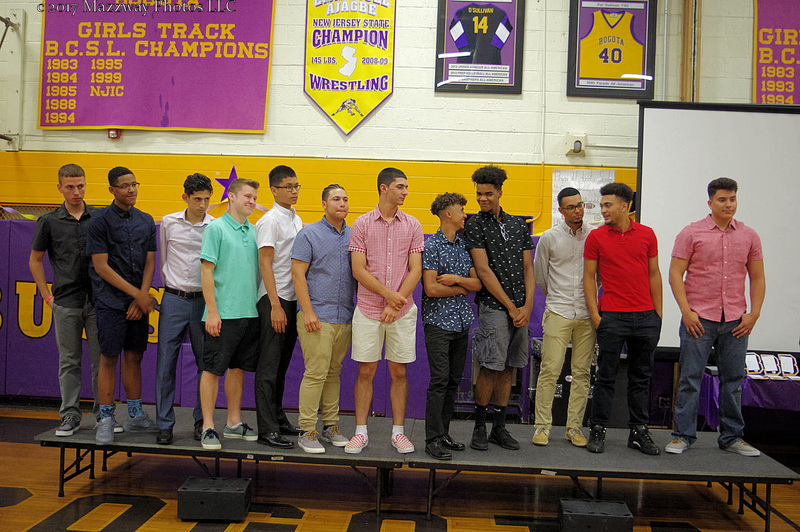 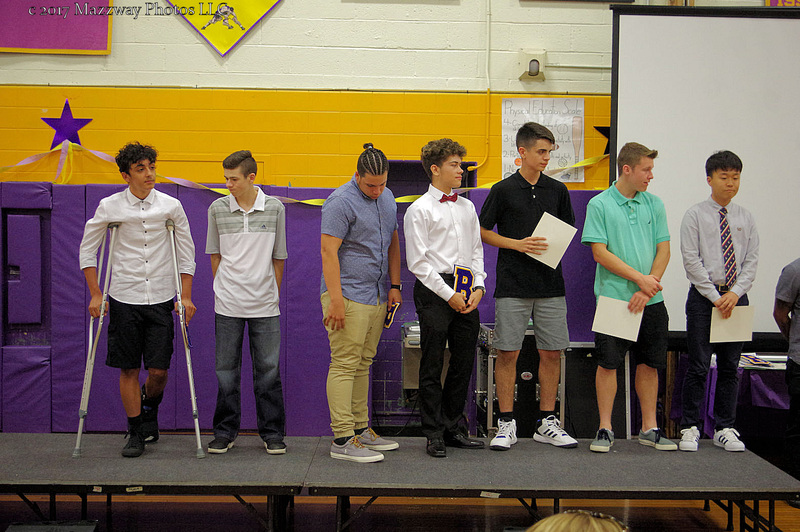 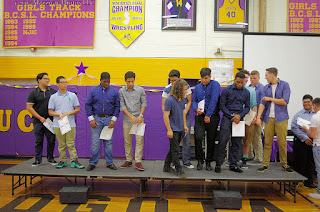 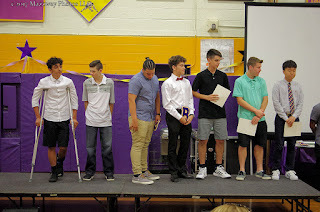 The first Athletes recognized were the ones who were voted on the Patriot Division All League teams. 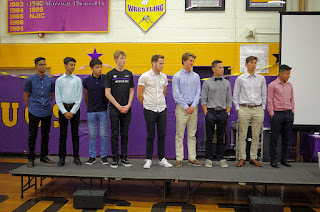 Also announced were those given All Bergen County First team honours. James Draney in Men's Cross Country. 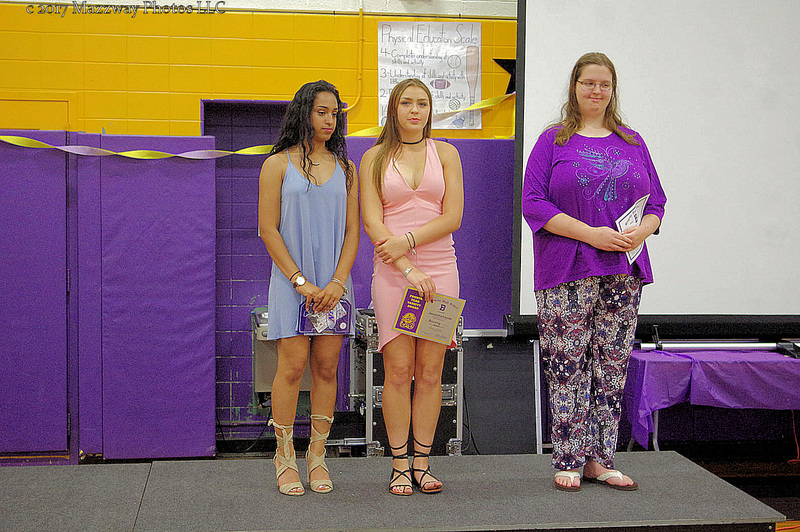 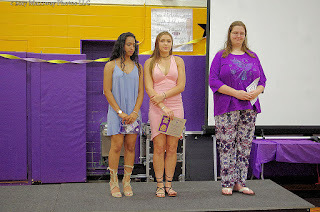 Lisbeth Suarez and Samantha Gioiosa in Women's Volleyball and Ms Gioiosa again for the Javelin in Women's Spring track. 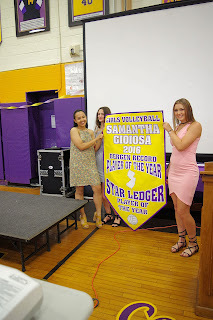 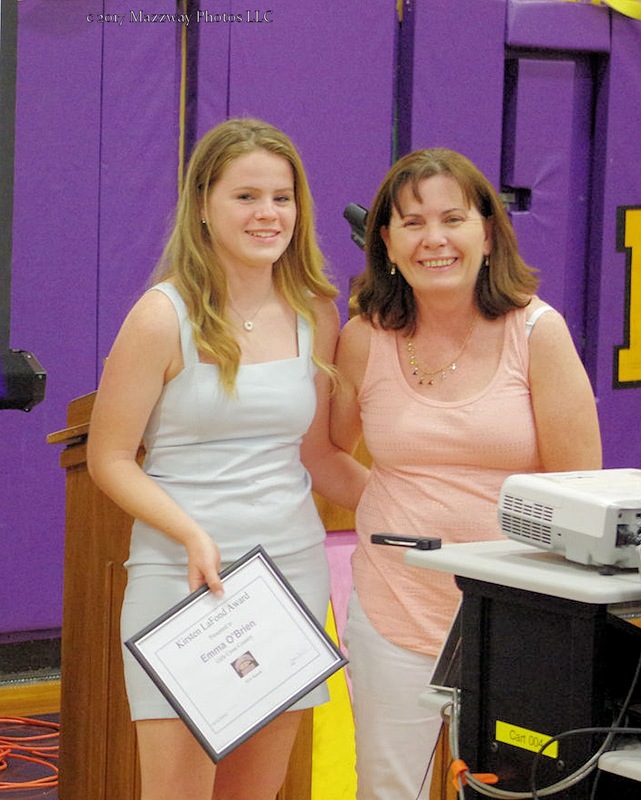 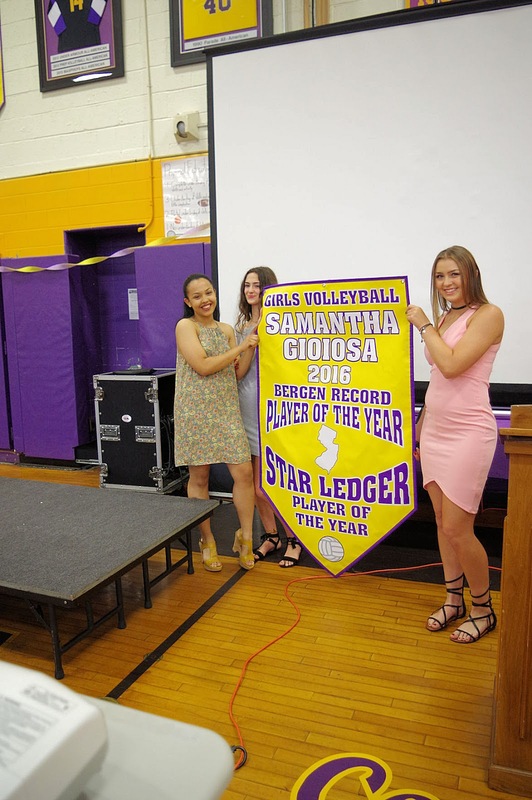 Samantha Gioiosa was also presented the banner for her being voted as both the Bergen Record and Star Ledger Women's Volleyball Player of the year for 2016. She has also been named as an Under Armour All American. 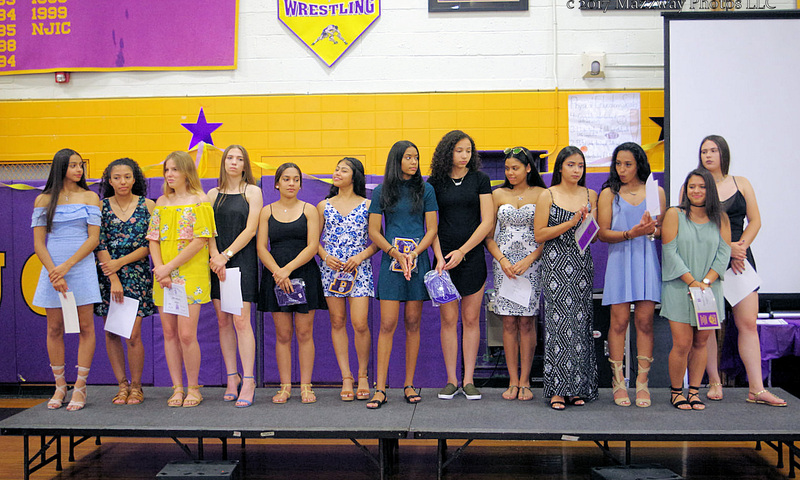 Team Championships for 2016-17 The Bogota Lady Bucs Volleyball Team won their second consecutive State Group I Championship. The Men's Cross Country Bucs won the North I Sectional Championship. Both team also won their Patriot League Championship. 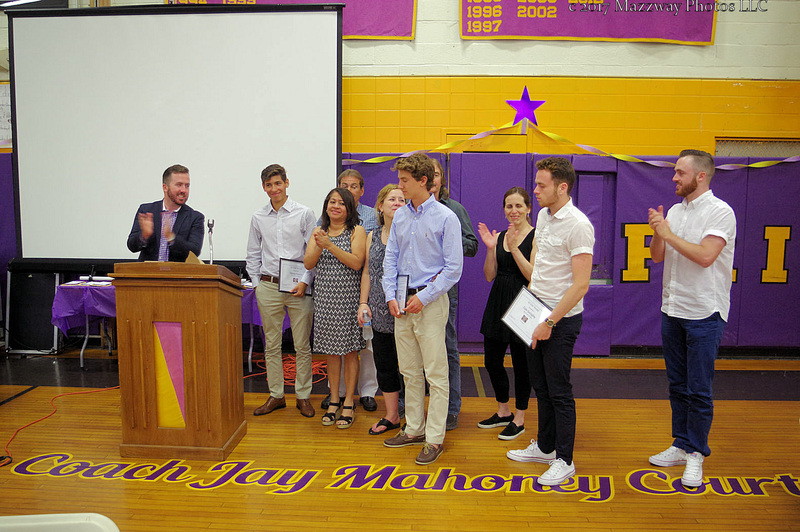 The last honours noted were announced by Coach Jay Mahoney. 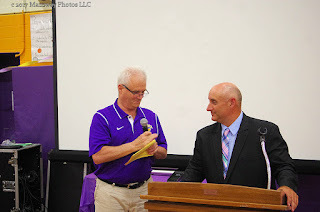 They were Wrestling Coach Pat Clark earning his 100th coaching win. Mens track Coach Steven Kordosky being named 2017 Patriot League Men's Track Coach of the Year. 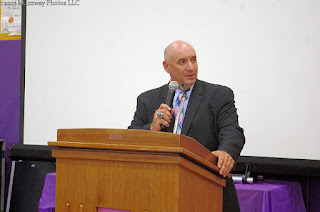 Jay Mahoney 2016 Patriot League Men's Cross Country Coach of the Year. 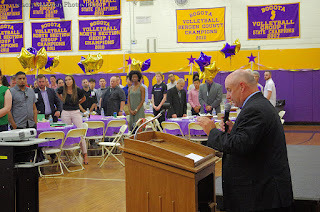 Brad DiRupo 2016 Patriot League Volleyball Coach of the Year as well as 2016 Patriot League Athletic Director of the Year. The final event of the evening was a highlight show of the 2016-17 year in Bogota Sports.